United is just the gift that keeps giving these days for the media. This time it’s not some incident involving a passenger, but about a scandal involving stealing sand from a Florida beach. 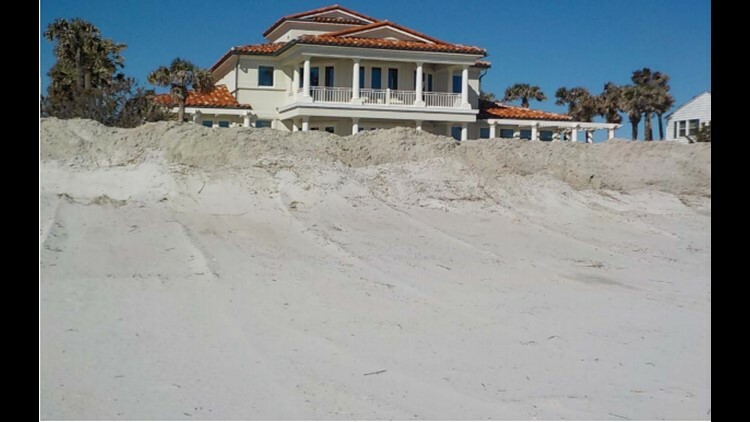 That’s right, United CEO Oscar Munoz is being accused of taking sand from a Florida public beach to apparently create “protective dunes” around his $6.8 million home in Ponte Vedra according to First Coast news. Here is the home and the protective sand dunes in front of it (I guess this is their way of preparing for the 2018 Hurricane season). Apparently a letter was sent to Mr. Munoz and his wife from the Florida Department of Environmental Protection asking them to stop taking sand. While the department is apparently “committed to assisting homeowners recover from hurricane-related impacts,” it finds this to be an overstepping of the line. To me what it looks like is that the homes just “borrowed” some sand from the beach in front of it, but I could very well be wrong. Apparently transporting the sand from somewhere else (which costs $28,000) was too expensive to pay despite the $6.8m house Munoz has. Anyway, he apparently wasn’t available to comment, but I’m sure we’ll hear something interesting soon. It’s just another funny incident I thought you guys would enjoy reading about……. Apparently there were 4 others who were accused of the stealing sand. Of course, Munoz is the only one making the news…..